For more than 70 years, DEUTSCH has been one of the leading manufacturers of high-performance solutions for harsh environment application. Now the combined expertise of our people and a robust product line, TE Connectivity DEUTSCH will enable us to serve our customers more completely across many industries. TE Connectivity DEUTSCH now provides the total interconnect solution. Whether you need the completed sealed harness or the discrete components, the TE and DEUTSCH team provides it all. Our team carries wires, connectors, contacts and accessories needed to make up today’s EWIS (Electrical Wiring Integration System) dependent electrical harnessing solution used to power the modern Next Generation More Electric Aircraft. 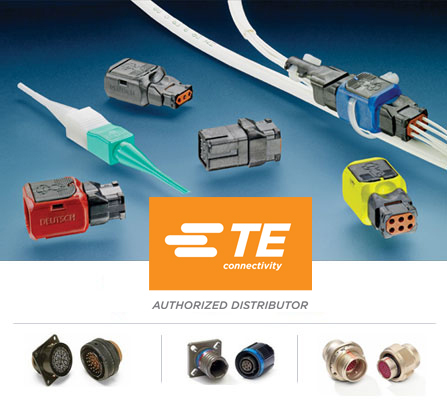 From high conductivity and force to vibration resistance and current carrying capacity, TE Connectivity DEUTSCH supplies high-performance industrial and commercial transportation solutions that are time-tested and designed to last. 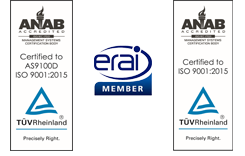 Our industries include: Trucks and Buses, Agricultural and Construction, Recreational Vehicles and Motorcycles. As mass transportation becomes more efficient and intelligent, TE Rail works with you every step of the way to solve your connectivity challenges. From the high-voltage power line and throughout the entire train, we deliver the broadest portfolio and systems expertise required to connect power and data safely and reliably, anywhere in the world.